Anyway, I recently read about an upcoming Clinique promotion that I had to tell all my Born to Buy viewers about. Head into your local Clinique counter (locations will be listed towards the end of this post) and swap the mascara you're currently using for a six week sample of one of the following mascaras; High Impact mascara, High Lengths mascara and/or Lash Power mascara. I'm not sure whether you'll get to choose which you get but, either way, who's complaining? This promotion is running from February 12 'til February 26. It's going for two full weeks so I hope you all have time to head down and grab a deal. Today I gave into temptation and bought a couple of things. Who am I kidding? It wasn't a couple but, oh well, who cares? Surprisingly, seven of the eight products I bought were from Priceline. I don't shop at Priceline much, to be honest. I've found that it's generally a little more than other stores, but the convenience of everything in one place certainly makes up for it sometimes. Anyway, everything I bought from Priceline was on sale (except for one Maybelline product but I'll explain that later). Before I continue, don't forget to click here for a list of the beauty related sales/promotions. With all that being said, let's get into it and see what I bought. I'm a massive fan of gel eyeliners but my Napoleon Perdis China Doll liner has dried up. I've heard so many great things about this eyeliner that I thought as well give it a try. I tried it as soon as I got home and I'm already a massive fan. Surprisingly, I really like the brush too. To be honest, I don't think I've ever tried a Maybelline mascara so I thought today was a great day to give one a try. This brush appealed to me, and I've heard fairly good things about this mascara, so I decided to grab it too! This product was bought to replace Maybelline Mineral Power Finishing Veil in Light. I have previously owned this powder in #115 which, unfortunately, was far too light for my skin. I didn't like this powder, as mentioned in my review, but I'm not sure whether that's to do with the actual product or the colour I bought initially. I absolutely love Maybelline Baby Lips lip balms (as featured in my lip balm post). I went into Priceline with the intention of buying their Baby Lips lip balm in Anti-Oxidant Berry but I couldn't resist the packaging of this one. It's just awesome! The name 'Protecting Berry' threw me a little though. I wasn't sure if it'd smell the same as the Anti-Oxidant Berry one I love but I was willing to take the chance. Guess what though? It is! I'm so happy and I'm going to go back and buy three more with this packaging (three for the price of two, woohoo!). "Purchase any two products from the Maybelline New York range and receive the 3rd Maybelline New York product FREE. The third purchase must be from the same brand, of equal or lesser value and purchased in the same transaction." Which item did I get free? The Baby Lips balm was the item I receive free. If I wanted to be sneaky I could have put it through as a separate transaction and received the Fit Me! pressed powder for free but I didn't. Oh well. Anything is better than nothing. Somehow I managed to lose my brush recently. I have no idea how it happened but I'm not a fan of the one I've been using on my hair recently. This brush says it's meant to give a smooth and shiny finish to hair, making it very appealing to me. Unfortunately, this brush is no where near aggressive enough for me and I'm going to see if I can return it. This product is a favourite of mine. It has been featured in two recent posts (Products I Can't Live Without and October Favourites) and will be featured in an upcoming skincare routine post. I don't need a new cleanser at the moment, but it's a staple so I decided to buy one while they were on sale. The last product I bought today was purchased at Target, rather than Priceline. At present, all Max Factor mascaras are $10 at Target. How good is that?! I bought one Lash Extension Effect mascara (if you're a Born to Buy follower, you'll know this is a mega favourite) but I decided to try another one while they were so cheap. I decided to buy their False Lash Effect mascara in Black. My sister loves this mascara (and, to be honest, I thought I was buying this when I bought Lash Extension Effect) so I thought it was a good time for me to see what all the fuss from her was about. In fact, when I texted her to tell her about the sale she asked me to pick up three of the False Lash Effect mascaras for her. This mascara retails for $23.95 so it's a mega bargain! So ladies, that's everything I bought today. I probably spent way too much but I don't really care. I haven't had the best week and we've all heard of the term retail therapy, right? Comment below if you've bought anything on sale recently, regardless of what you got and where you got it. I love looking at 'junk mail'. Catalogues are great. They're fun to look through and you can browse without the temptation of actually spending. Score! Anyway, a bunch of catalogues arrived today and, in amongst them all, there was a Priceline one. Normally I just quickly flick through but there were SO many beauty related sales that I thought it deserved a post. Purchase any two products from the Rimmel range and get the least expensive purchased product FREE. Purchase any two products from the L'Oreal Paris cosmetics range and receive the 3rd L'Oreal Paris cosmetics product FREE. The third purchase must be from the same brand, of equal or lesser value and purchased in the same transaction. Purchase any two products from the Maybelline New York range and receive the 3rd Maybelline New York product FREE. The third purchase must be from the same brand, of equal or lesser value and purchased in the same transaction. Spend $35 or more in one transaction across the Natio range and receive a FREE Tote Bag containing 2 Natio Suncare products. Excludes gift packs and while stocks last. ALL cleansers are 25% off. Includes facial cleansers, toner, scrubs and wipes. Finally, their perfumes are also heavily discounted. I can't show images of them all, as I'd be here forever, but I can list them and hope you know what you like. Anyway, ladies, that's all the hair and beauty products I could find in the catalogue. Massive sale, right? Remember, this sale starts on Thursday, January 19 2012, and finishes on Monday, 30th January 2012, unless products sell out earlier. Head into your local Priceline and grab a bargain. Also, for the record, I am in no way affiliated with Priceline. I thought this was an amazing sale I just wanted to let you all know. Hey ladies and gents. 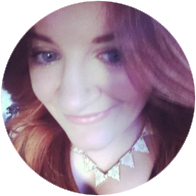 When I first started making blogs I intended to do 'What's in my Mailbox?' posts every time I received make up/beauty related products. I've uploaded a similar post (a collective haul) but this is my first 'What's in my Mailbox?' post. Anyway, I love Online Buying so a lot of my beauty products online so expect a lot of these posts. As you all may or may not know, I was recently on a family holiday for 10 days. Over the weeks leading up to me leaving I went on an extended 'shopping spree' and bought myself a number, well, things. Anyway, here they all are. I've wanted this book for a really long time but I always thought $55 was a lot of money for a book with information I could get online. Anyway, I was wanted to buy a couple of others books (see below) so I decided to go through Book Depository and, while I was there, check out the price of the Makeup Manual. It was only $18.87 so I had to get it. I love this book. It's really interesting and covers all aspects of make up application. As I said, I really like this book. Stay tuned for a review. I also bought these two books from Book Depository. I go through phases with my reading and, at the moment, I'm in a reading phase. I read the whole Shopaholic series by Sophie Kinsella a few years ago (not my books though) and decided that I wanted to reread the whole series. I had collected most of the books over time but these two were missing from my collection. I love them as much as I did the first time. I've been one on the hunt for a new blending brush for a long time. I came across this one on eBay and couldn't resist. Much like the MAC brush above, I just couldn't resist buying this bronzer. I've been after a new one for a while and I'm pretty happy with this so far. After runnning out of my Maybelline Mineral Power Finishing Veil and reading that was the Dream Matte Powder was very comparable, but more suited to women with combination/oily skin, I chose to buy this powder instead of replacing the mineral one. So far, I'm not as impressed as I was with the Maybelline Mineral Power Finishing Veil but that could have something to do with the fact that I bought this in a shade too light. Oh well, that's a risk you take when you buy products online. I love iPhone covers, pink and zebra print. Score. I had a cover almost exactly the same before but I broke it. Oh well, for $1.50 each it's not that big of a deal! Anyway, ladies, that's everything I've received lately. I really need to start saving! I've recently bought myself an Urban Decay Naked Palette (YAY!) and you'll all be the first to know when it arrives, don't you worry! Also, ladies, if you're a lover of Max Factor mascaras (click here for a review of my favourite mascara of all time, Lash Extension Effect) they're all on sale for $10 at Target at the moment. Get in quick! Comment below if you've scored some good bargains recently, online or in store. Firstly, before I get into this actual post, I want to apologise for not uploading as frequently as I normally do. I've been away for the past 10ish days with limited internet, making uploading posts to a blog quite difficult. Anyway, with that being said, let's get into this sample haul. Much like my last sample haul, two days ago I went out with one mission, to get my hands on some new samples. As mentioned in my NARS Sheer Glow foundation review, I absolutely love this product but found the colour I was matched to didn't quite suit my skintone. Anyway, I went back into the Mecca and was colour matched again (for the third time) to Fiji (described as 'light with yellow undertones'). Unfortunately the store I went to had run out of sample pot lids but she was able to give me two sample sachets of the Sheer Matte foundation in Fiji. Each sachet was 2mL and, to get the most out of it, I poured them both into a sample pot when I got home. I can't wait to try the Sheer Matte foundation so stay tuned for a review! After I got the foundation sample I went on to Two Faced. After over a year, my Urban Decay Primer Potion has run out and I'm on the hunt for a new one. Of course, I absolutely love my UDPP but I'd love to have foundation primer that's accessible within Australia. I've read that Urban Decay Primer Potion and Too Faced Shadow Insurance are very comparable so it's time to put it to the test for myself. The lady was fairly generous with her sample and provided me with enough product for a couple of applications. In the meantime I'll be using my MAC Paint Pot. My last trip was to the perfume counter at MYER. I fell in love with Taylor Swift's Wonderstruck perfume the moment I saw it. I like the smell, yes, but I can't decide whether it was the bottle that I fell in love with or the actual perfume. So, with that in mind, I thought I'd see if they had any samples of the perfume that I could try before committing to an actual bottle ($69 for 50mL and $89 for 100mL). I asked the lady if they had samples and, before I even knew what was happening, I was attacked with samples. Listed below are the samples I received. I also received three male fragrance samples (two of an Usher 'man smell' and one Rocawear one) but I met my male best friend later in the day so I gave them to him. Anyway ladies, don't be afraid to get out there and ask for samples. Sales assistants are always willing to provide samples of products, especially best sellers. I've found that if you drop phrases like 'Urban Decay Primer Potion' they know you're serious too. Hit the shops, ask the right questions and see what YOU can get in a sample pot! If you've scored any awesome samples recently (or know of any tips/tricks), please comment below. 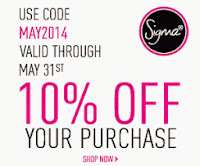 Don't forget about the Simga 10% off sale that ends January 31. 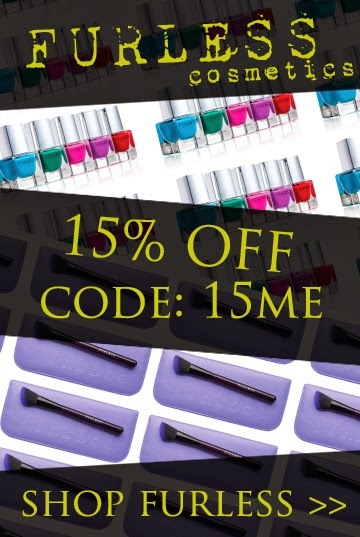 Click here for the promotional code.